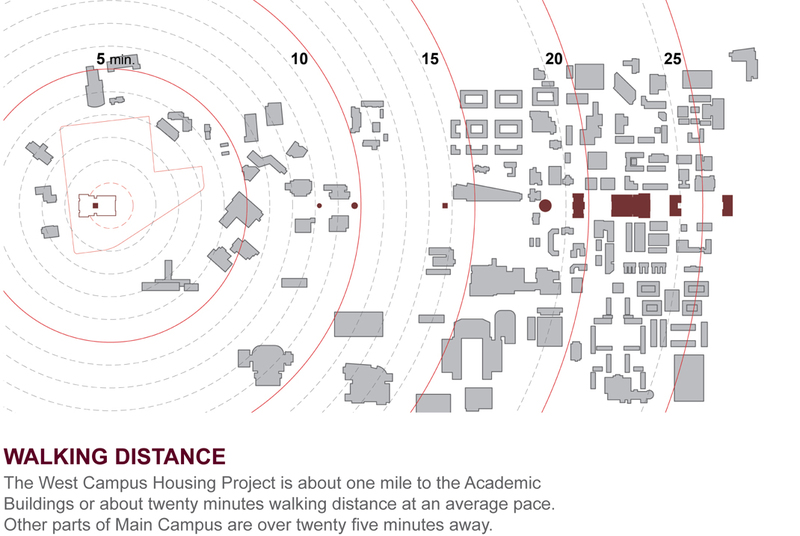 A new 12,000 student housing enclave is the task for a planning project that is configured to extend campus traditions and overcome the isolation of the satellite location of the site. 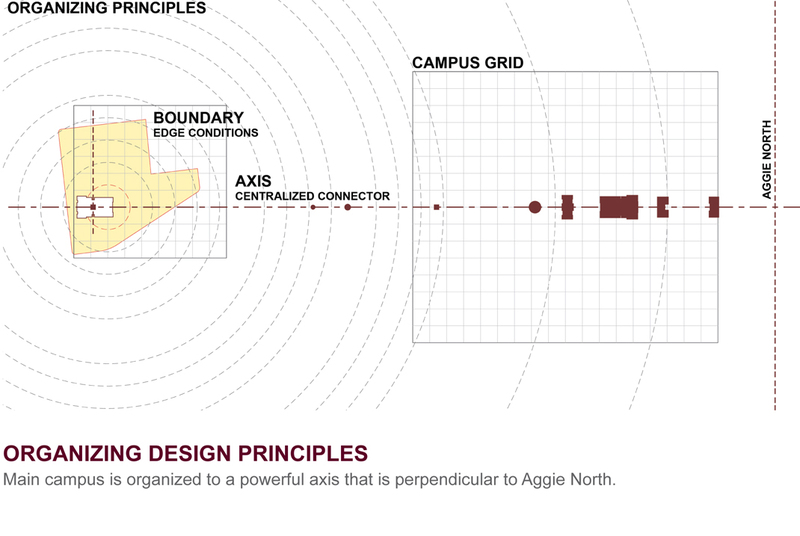 Connection is accomplished by extending the historic axis of the campus to a new a seven-acre quadrangle and parade group that is the spatial and symbolic center of the housing campus. A U-shaped housing type is developed that can define a hierarchy of space types around along with provided each building their own shaded entrance courtyard for identity. 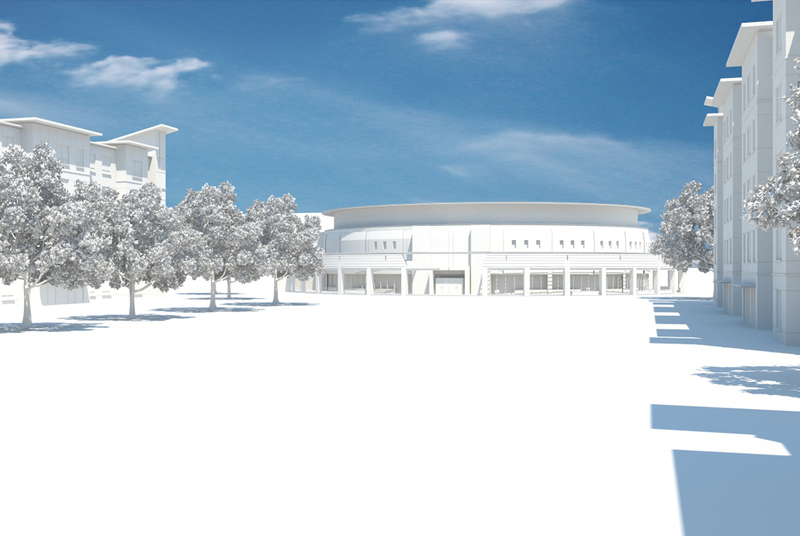 Kevin Sloan Studio developed the master plan and building configurations. 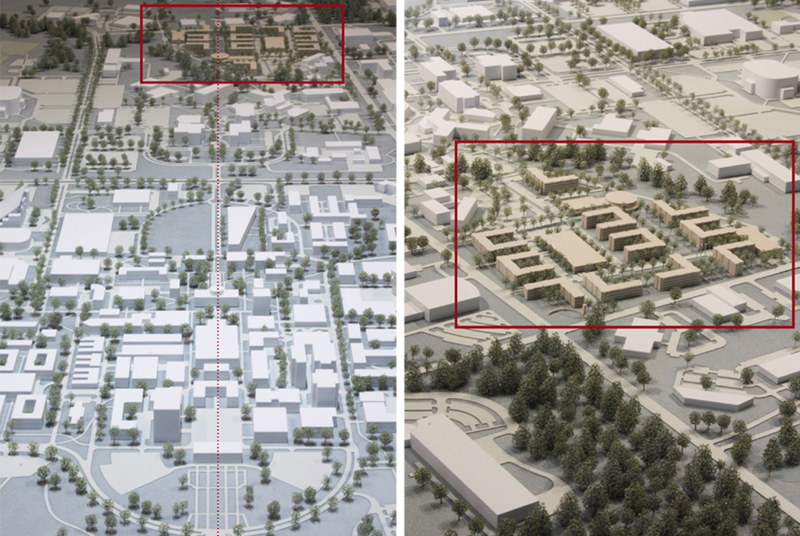 5G Architects of Dallas, Texas collaborated in developing the architecture for the housing, model and renderings.